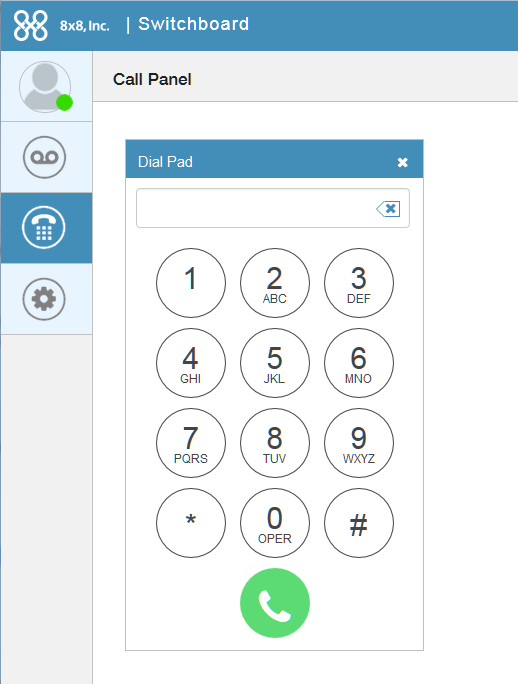 Improved user interface: A simplified and elegant user interface that enables easier and more efficient call handling. Enabled settings: All options are now enabled by default. Settings may require additional configuration by the PBX administrator. Co-browsing help: Allows a receptionist to initiate a screen-sharing and Co-browsing session with an 8x8 agent for assistance with Switchboard Pro. Display callee details: Allows a receptionist to view details about a callee. The callee information display can be enabled or disabled in Settings. Callee information: Allows a receptionist to identify the number that was called and greet the caller appropriately. For example, a receptionist can preview if an incoming call is directed to the Sales or Support group, and greet accordingly. This feature requires a subscription to 8x8 branching. This feature requires additional configuration by the PBX administrator. Enable contact filtering: Filters the Contact Directory by the branch associated with the callee number. 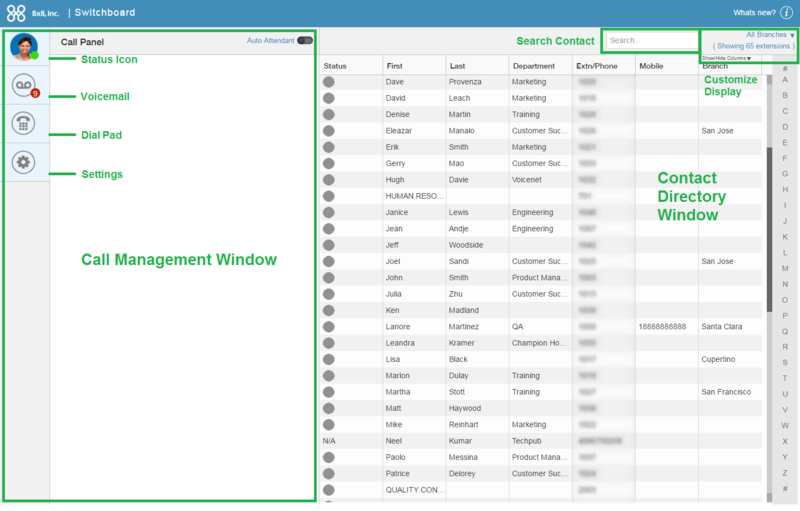 For example, if the call is directed to AcmeJets Support, on answering the call, the Contact Directory is filtered automatically to display the contacts of the Support group only. Dial pad: Ability to initiate a call using the dial pad within the console. Ability to call back from voicemail: The receptionist can call back right from the Voicemail list.